Seán and Sarah have now been in custody for 14 days (today even 15 fays, EIE). They have been arrested because of their work with refugees on Lesvos. Originally published by Ioanna Schuppert Facebook profile. For Seán, this mainly includes search and rescue of and shoreline response to migrant boats arriving from Turkey – essentially ensuring that people do not die or come to serious harm on this crossing. 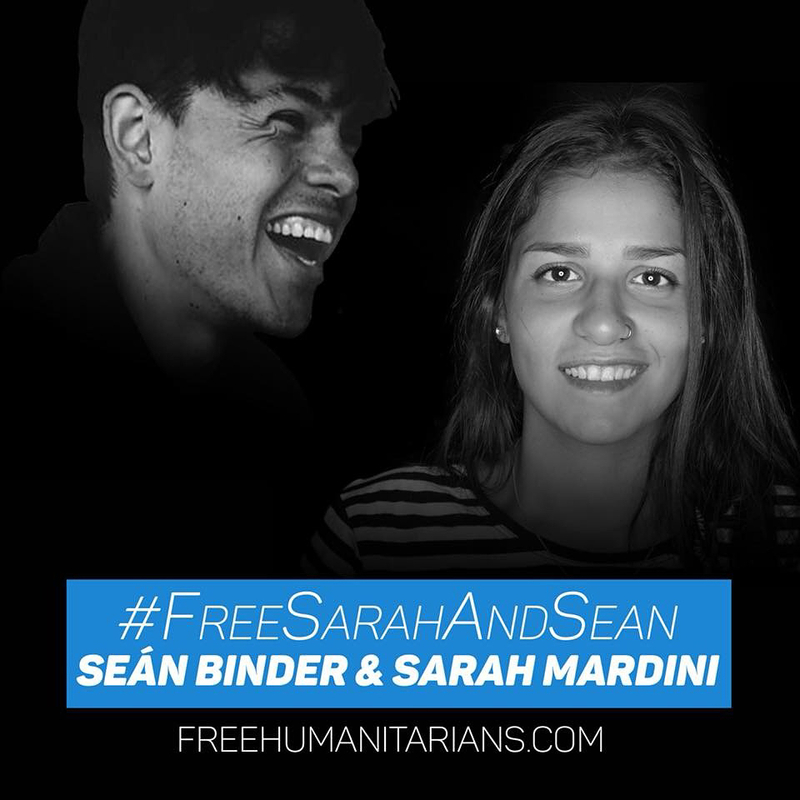 Sarah also played a large role in Search and Rescue on Lesvos, but she is also a very important spokesperson for this issue and has raised a lot of money through public speaking, including, for example at TedX and Harvard University. Sarah is a refugee herself, and gained a lot of public attention when, during her own crossing from Turkey in 2015, the boat broke down and she, along with three other people, jumped into the water and helped bring it to shore, saving the lives of 20 people. She sustained an injury that ended her professional swimming career, but she was still able to qualify as a lifeguard and came back to Lesvos in 2016 to help other refugees doing this crossing. Seán has also been here since summer 2017, having chosen to volunteer in this field after finishing his Masters degree. Their charges, most of which relate to their work in sea rescue, include the enabling of irregular migration, human trafficking, spying, criminal organisation, and others. Despite there being very little evidence against Seán and Sarah, they are currently going to be kept in jail until their trials, which could take up to 18 months. These two people, besides being absolutely lovely personally, have really given themselves to saving lives and to leading a team of volunteers doing this important work, and now find themselves arrested and prosecuted, essentially for trying to help people.